Over the last month my dad and me have melted close to 400 lbs of wheel weights into ingot moulds. Cast A BUNCH!!! 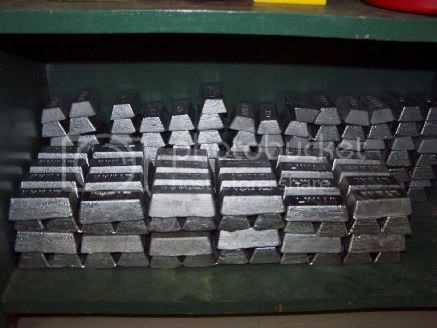 of bullets, and learned alot about the entire process.We now have some 350-400 lbs of ingots in our inventory waiting and ready to be cast, and hundreds of bullets ready to load up and shoot.YES!!! Seems like it has taken forever to get to this point. 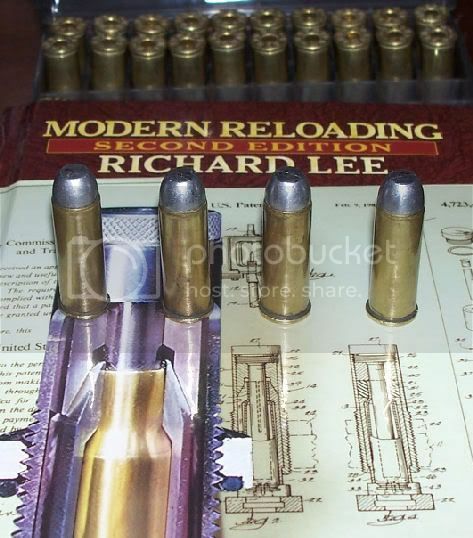 I finally had a chance to load some of those Lee 429-200-RF cast bullets. I am developing this load using a surplus powder I got from Gibrass out of Owensboro KY. The powder is WC820(n) Orignal application is for the U.S. Cal. 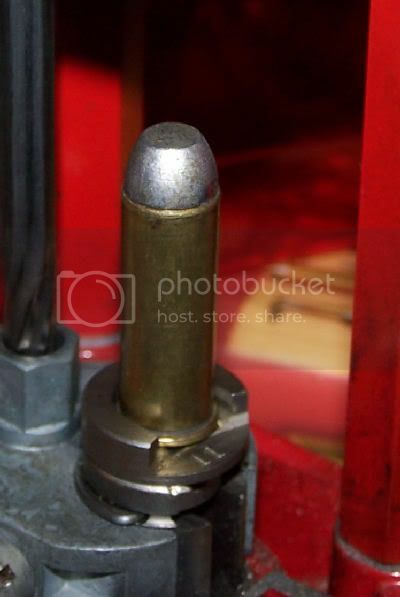 .30 Carbine Ball M1 round. This lot loads at 14gr with 110gr FMJ projectile. This is a ball powder which can be loaded using Accurate Arms #9 (AA#9) data. This is new ball powder. It is quite affordable, right at ten dollars a lb delivered to the door. It felt good being in front of the turrent press again, seems like its been awhile. 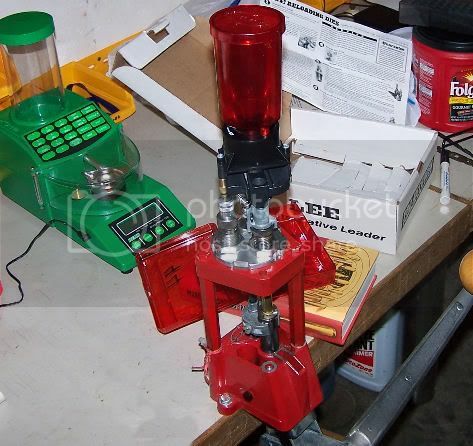 When I initially got my casting supplies I had purchased a Lee universal expanding die, which I haven't needed to use as my powder through expanding die works great for this without any shaving as the bullet is seated. Another fine piece of Lee equipment I haven't used in a while is the Lee Auto Disk Pro Powder Measure. 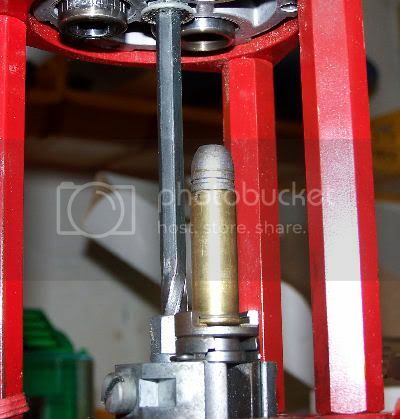 The Pro Powder Measure screws into the top of the powder through expanding die and the drop tube fits into the end of the hollow expanding plug. 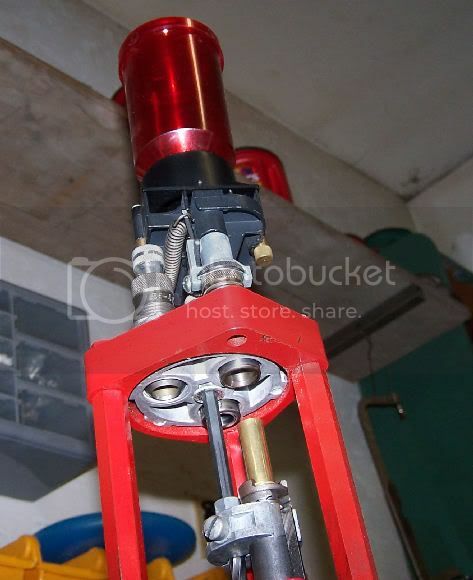 The case while being expanded, pushes the expander up and this operates the powder measure through a bell crank. This setup is absolutely a joy to use!!!. With the Lee turrent press and the Auto Disk Pro Powder Measure I can produce 200-300 cartridges an hour! I got my Lee 44 Mag dies setup for proper amount of flare, bullet seating depth, and crimp and made a couple of dummy rounds to see how they function in my Rossi 92. They functioned flawlessly! I loaded twenty rounds to see how the starting loads will do. Now just finding the time to run them through my chronograph and test them out....To Be Continued.